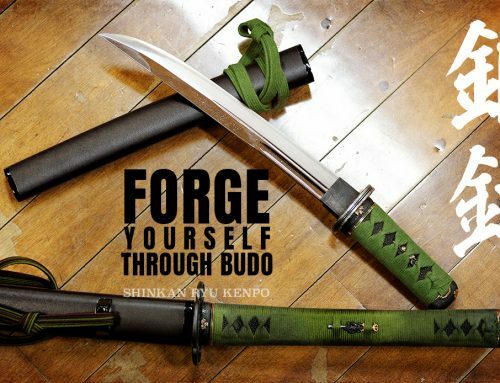 Home/Buddhism, Bujutsu/What Value Is In Martial Arts Training? I soon reflected, what do I value in the martial arts? 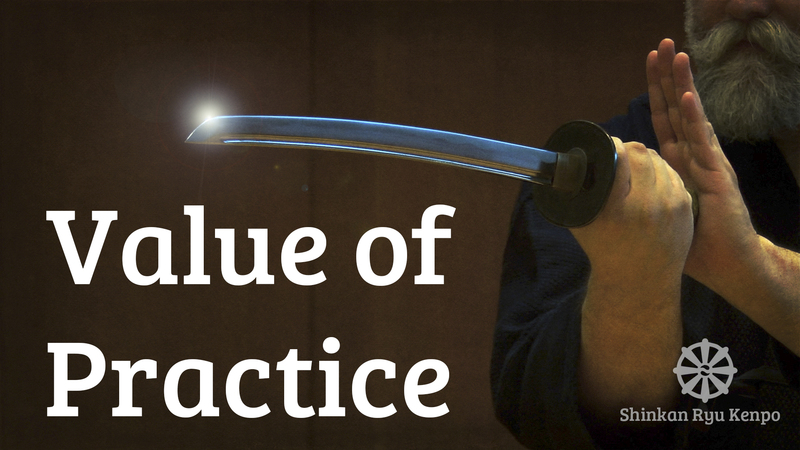 Why do we practice? 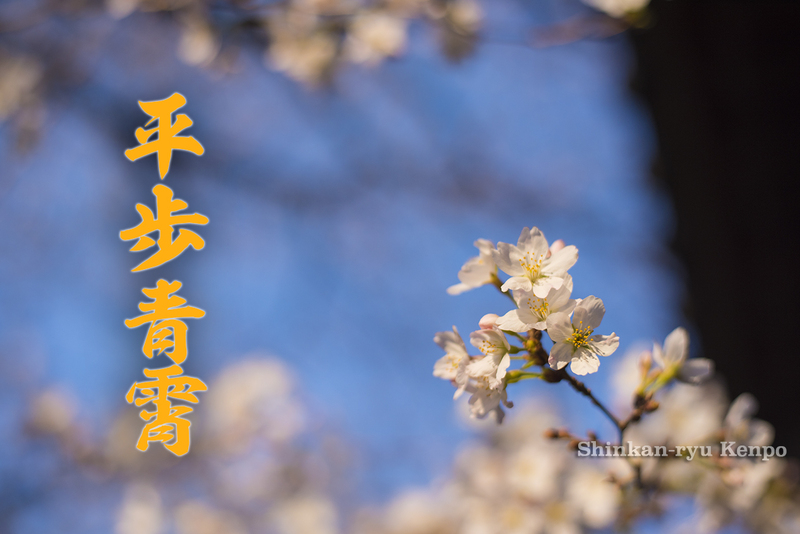 I have been thinking, "What do I get from practicing the martial arts?" I get to see within myself. That's one of the great things when you are doing martial arts. This is especially true when you are practicing with someone else. We can see ourselves clearly. I liken it to a structure; as soon as you put weight on it, when it becomes load-bearing, you can see the imperfections in the build. The weak spots, etc. etc. Stress and duress shed light on our weaknesses. 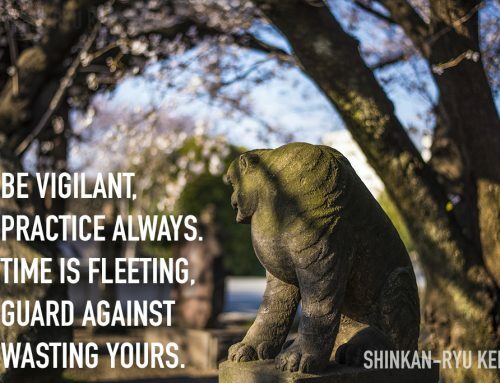 Even more, wisdom can be gained from the deep and sustained application of thought in and out of the dojo. When you are practicing with a partner, the other person is not the prime obstacle. The principal obstacle is always ourselves. That pressure from someone else, whether spiritual or physical, will show you where your weak spots are. Our own introspection also replicates that pressure as in with good insight during solo practice. I enjoy that in practice as well. Although I study the sword, I do not have fantasies of killing or injuring anyone, and there are no fantasies about violence. On the other hand, when you truly look at the sword arts, it is very serious. 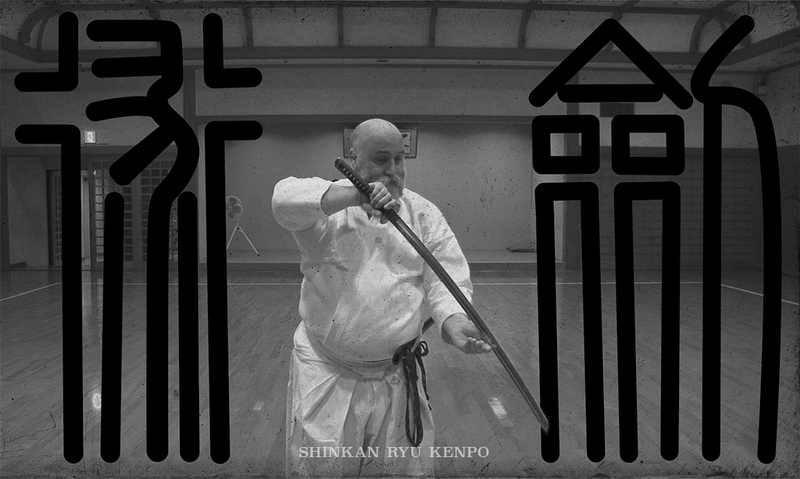 People do not often think or contemplate what the sword is doing during various cuts, pokes, and slashes. 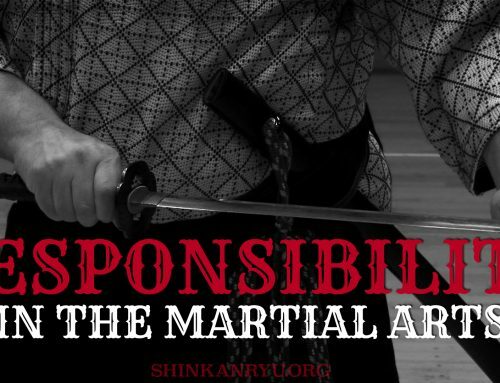 It is necessary to have that knowledge of the actual combat involved, but you do not need to be training to injure anyone. The ability to train in earnest and not harm someone physically or mentally is appealing. When we are training we get to see where we are lacking. Where can we buff things up and better ourselves? I value that in the martial arts. I am glad I can see myself and challenge myself and push myself a little bit further. It's a great experience. It should, but doesn't always seem to do this, but it should make you a better person. I don't know why it often doesn't make us better. Why do so many people that practice martial arts act like complete imbeciles? Its a question I have been asking myself a lot. 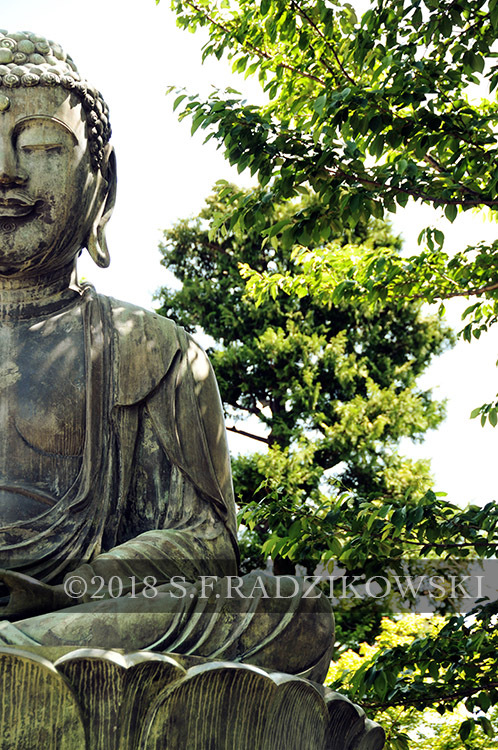 You think when you do something like meditation, martial arts or yoga that they would help you become spiritually refined. It seems though that so many people go deep into crazy territory. I see people focusing on the physical structures of forms and not on the discipline as a whole. This creates a false sense of power and dominance. It also fosters narrow-minded thinking and behavior. I value the way of training that helps us become better people. I think being near the teacher who has a good head on his shoulders is important. When you have a teacher, who has many undesirable traits the students shape themselves to that. Generally speaking. I am not saying all students are bad that have a bad teacher. Nor that all students are good that have a good teacher. Teachers possessing just good technical skill are not good teachers. They are merely good technicians. You would think that people practicing these things that are supposed to better themselves and could find a way to be decent towards others. People are so often rude and malicious. Why is that? What is it about people who can't grow spiritually? You can be a warrior and not be a spiritual person of course. Bushi had one job and that was to fight and go to battle. Wars and policing actions etc. They weren't necessary killers but they had to be ready to fight to the death if that what was called for. For hundreds of years now this was just not the case. It is 2018, and we are not training to kill anyone, so why can't we spiritually refine ourselves through the training and exercises and kata? Why can't we get better? It is not that as soon as you start practicing you need to be a holy person, but there should be some path to get started on. I have seen people that are outright rude and scheming to make problems. At the worst, they threaten and try to ruin someone. At the very best these people with deficient thinking behave in a wholly unhelpful way hampering you at every opportunity. These people are like this for years and years. We have all seen them in our dojo. It is not just in budo but a problem with humanity. 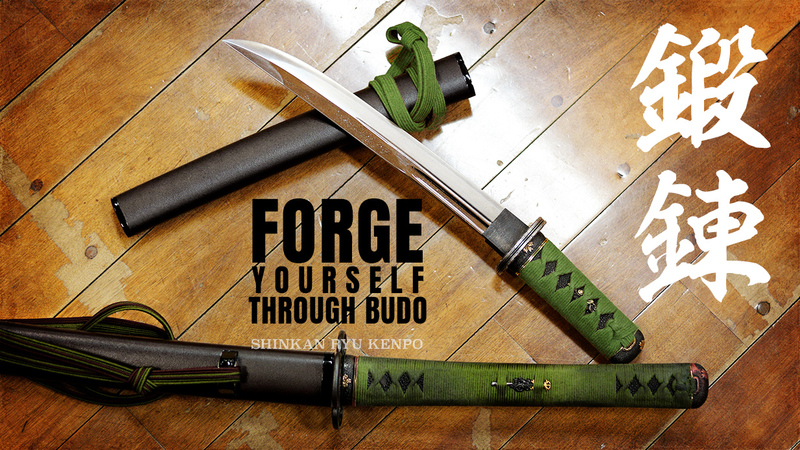 Should people who do budo be kind? Yes, I think they should be kind because they are training to acquire power. My opinion is that martial artists should have an obligation to be more compassionate and empathetic. You can't have power without a governor on it. You can't have the power that is without control. In some schools scrolls and letters, there are printed direct rules for not allowing these types of people to practice because it is dangerous for the school, its reputation and the safety of society. We can't have the power go unchecked. The world is full of examples of how bad that is. We need to have some system in place for ourselves so we can use the power for good things and not bad things. I believe that it is vital. I value this in training. Though I have had teachers who were selfish and cruel, I have also had those that are not. I have used the experiences to look at myself and what I can do better or change within myself. While I am not perfect, I do think its important to strive to better ourselves. 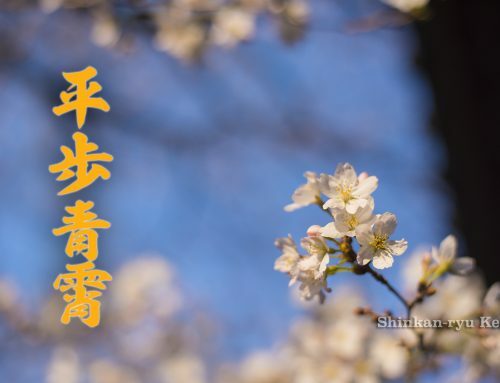 Why should we try to become better people? We are acquiring things to take lives, and cause harm and suffering through violent actions, so we need to have physical and mental control. Look at some of the horrible things in history. You have someone with a lot of power and has no control over that strength. This is exactly what the bushi did. They had the power and abused it. They took over the imperial court system. It is something to think about when we are practicing. 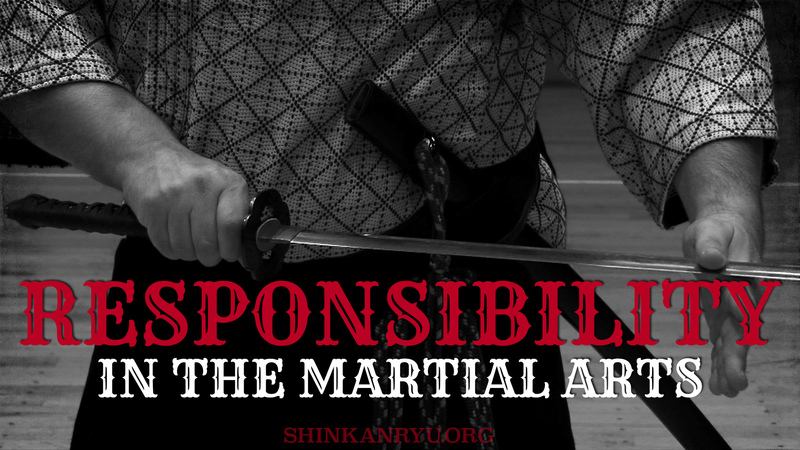 It is dangerous to keep the mentally unskillful as training partners, students, and even teachers. This is the difficulty because if we abandon them completely they lose an opportunity for changing their perspectives. Though in the end, it is best to be extremely careful with such people and avoid a tangled relationship with them. It should be done without any malice or hatred. Simply distance yourself. I also value the chance to meet these difficult people and malicious and ignorant people. Although it caused me suffering it also allowed me to become a better person and understand the martial arts and myself more. Understanding myself and the actions of my body, speech, and mind on those around me is of value to me. Training in the martial arts has helped me understand that also. The ability to help others who are struggling to learn something I have struggled with in the past is also of value to me. Using different perspectives is also of value to me. The dojo is a microcosm of the outside world. Our own mind a reflection of others. Training shows us these weak spots deeply. 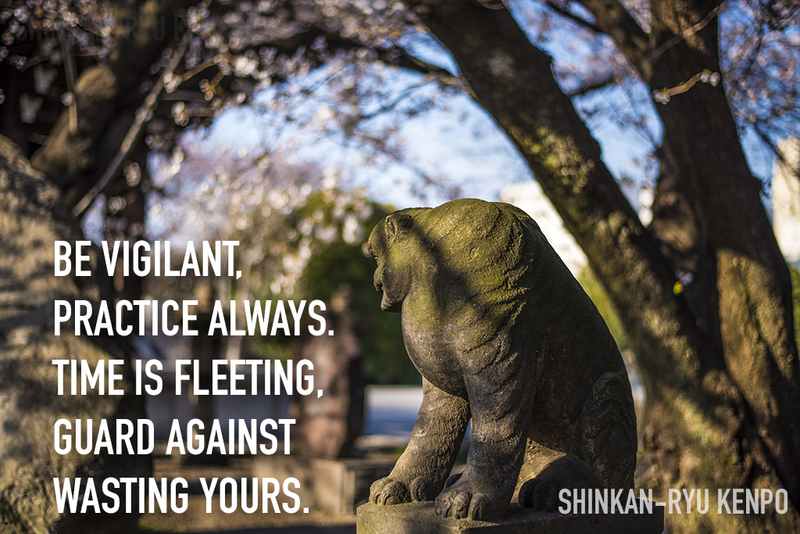 I value these lessons within the martial arts and my training, and teaching. Through the application of physical power and mental reflection, we can see the faults within us that prevent us from moving safely and efficiently during a match. We can change our shortcomings for the better to push through the techniques and life outside the dojo as well. A lot of wisdom in that read. Thank you Sensei. The focus and effort I put toward training assists me in providing clarity and motivation through my everyday life. The enrichment of the inner spirit, if you will. The value of something like that is immeasurable. Thank you Steven-sensei, there is a lot of food for thought in what you have said, and something for us all to think more deeply about. Thank you. Enjoy the deep thoughts. Thank you for these thoughts, Steven-sensei. 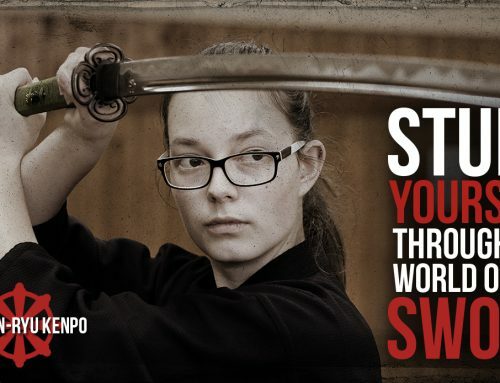 From what you say, it sounds like good martial arts training acts as a mirror–showing us our technical and personal weaknesses, so we can improve upon them. That sounds wonderful to me, even as it reveals my vulnerabilities. Though I can also see why many people don’t want such training. 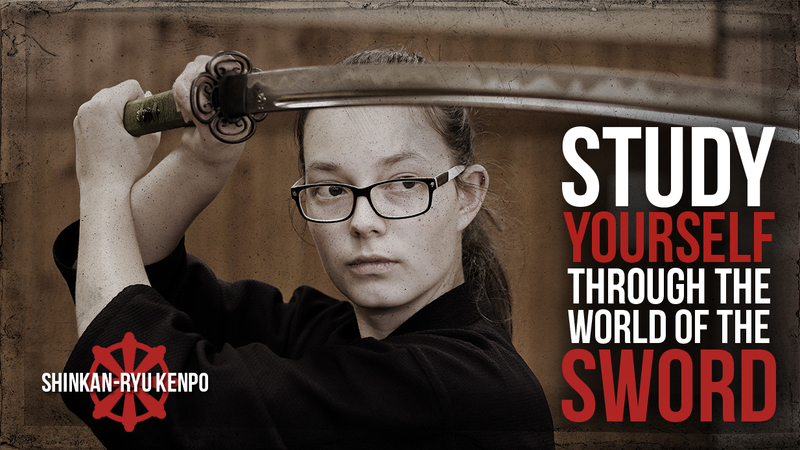 Many come to the martial arts to feel strong, not to discover and improve their weaknesses. It’s tragic, but as you know, it’s all-too-real.